We use the word Jew, Muslim or Buddhist with ease. Why then has it become politically uncomfortable to say the word Christian? And when did this dangerous and perplexing shift occur, asks Howard Feldman. Tuesday 16-17°c a few showers. More sun than clouds. Mild. There were no winners in Tuesday's Daily Lotto draw, but 295 people matched four numbers. They each walked away with R2063. Get the results on News24! Download the News24 app via the Play or iTunes App stores and get a free alert moments after each Lotto draw with the winning numbers. Tap here to download the News24 Android App or here to download the News24 Apple App. The next Lotto and Lotto Plus draw is on Wednesday. See the results for lotto, lotto plus one, and lotto plus two here. *Please note that the information provided herein is third party information. Whilst every effort is expended to ensure that the information provided is true and accurate, we are not responsible for errors, omissions or any loss which an individual may experience. 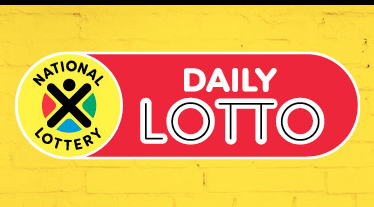 See the National Lottery Terms and conditions here. Watch her new music video! Chris Evans talks starting a family. Women who lived off blessers tell their story: "He gave me HIV"